was born and raised in Manhattan, and graduated from the Trinity School and Princeton University, where she rowed crew, was a member of the Ivy Club, and served as a volunteer firefighter. Naomi was Brooke Astor’s last social secretary, and was a key figure defending Mrs. Astor in the much publicized trial. She speaks six languages, is a multimedia artist, actor, and writer, and lives in Amsterdam with her Dutch husband and their two sons. grew up in Princeton, New Jersey, and graduated from The Lawrenceville School and Connecticut College, and also studied at New York University, and the Sorbonne andÉcole du Louvre in Paris. He served as a Peace Corps Volunteer in Mali, West Africa, and has been a New York-based producer for still photography shoots; an assistant to Motion Picture agents at International Creative Management (ICM) in Beverly Hills and New York; and a Creative Executive at Eclectic Pictures in Los Angeles. His second film, BENEDICTIONS FROM MALI, is coming soon, as is DU CAP, a script he co-wrote which is being produced by Eclectic Pictures. 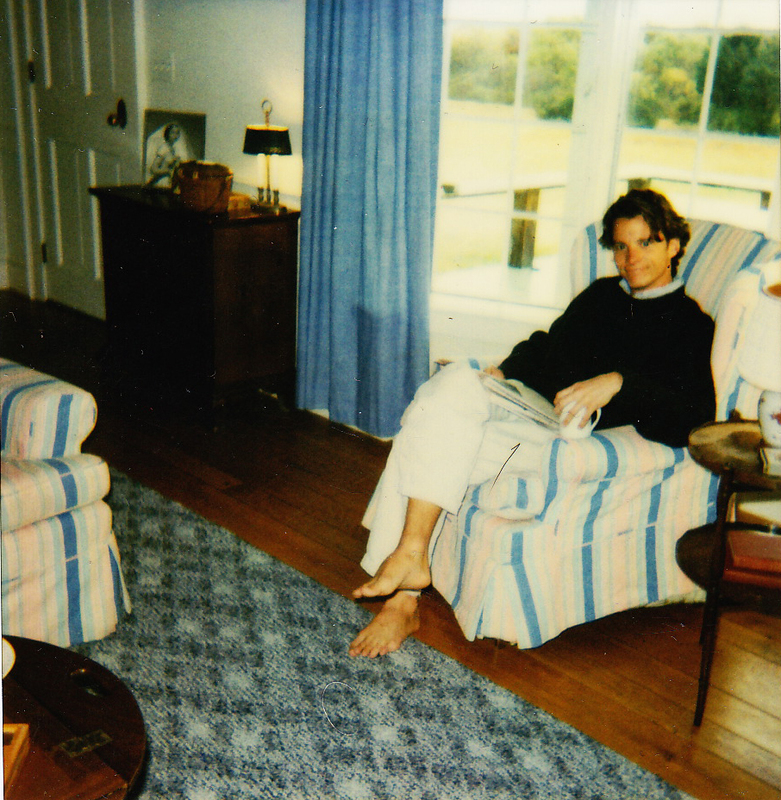 He is a former resident of West Tisbury on Martha’s Vineyard, and is currently based in New York City. lives full time on Martha’s Vineyard, and has been the Artistic Director, and a director, actor, and teacher of acting, drama and theatre at the Island Theatre Workshop for many years. A New York City native, she went to Chapin School, and has acted in Off-Broadway and TV productions from a young age. She is internationally famous for her role as “Mrs. Kintner” in Steven Spielberg’s horror classic, JAWS, which was filmed on the island. She “channeled” her own mother, a “Park Avenue WASP”, in playing Mrs Goodrich. returned to his native city of Galway, Ireland, where he is a well-known commercial and fashion photographer, after working for several years in New York City. was raised in Pride’s Crossing, Massachusetts, and has an M.F.A. from Boston University’s Acting Program. She lives on the North Shore of Boston with her daughter. is a native of a small town on the California coast, and graduated from Brown University. His film credits include roles in SERENDIPITY (director Peter Chelsom, starring John Cusack and Kate Beckinsale), and THE WOODSMAN (director Nicole Kassell, starring Kevin Bacon and Kyra Sedgwick). He is also known internationally as a model for Ralph Lauren, Banana Republic, and many advertising campaigns and magazines. originally moved to Martha’s Vineyard to become the Episcopal priest at Grace Church in Vineyard Haven, and soon became involved in the Island Theatre Workshop, with Lee Fierro. The two performed together in many acclaimed island productions. He is a journalist for the Martha’s Vineyard Times. is a Martha’s Vineyard native from an old island family. Her film debut was at age 7, in THE CRUCIBLE (director Nicholas Hytner, starring Daniel Day Lewis and Winona Ryder). She is a writer, musician, and children’s book author, based on the island. is Katrina Nevin’s real mother, and lives on Martha’s Vineyard. A well-known metaphysical psychic and channel, she assisted Harry Tappan Heher in channeling Thomas Hardy’s intentions for his novel “The Return of the Native” in a film format, and served as the instrumental island casting director, and official “ghost-whisperer” on set. Harry Tappan Heher (Writer, Director, Producer) grew up in Princeton, New Jersey, and graduated from Connecticut College, and also studied at New York University, the Sorbonne and the École du Louvre in Paris. He served as a Peace Corps Volunteer in Mali, West Africa, and has been a producer for still photography shoots; an assistant to Motion Picture agents at International Creative Management (ICM) in Beverly Hills and New York; a Creative Executive at Eclectic Pictures in Los Angeles; and an event producer for TED. His second film, BENEDICTIONS FROM MALI, is coming soon, as is DU CAP, a script he co-wrote that is being produced by Eclectic Pictures. He is a former resident of West Tisbury on Martha’s Vineyard and Los Angeles, and is currently based in New York City. The Mistover Tale is his first film. Loïc de Lame (Co-Editor, Additional Camera) is a Brooklyn-based Belgian, whose editing, directing, and camera department/cinematography (including SteadiCam) credits include MISTRESS AMERICAN and WHILE WE’RE YOUNG (directed by Noah Baumbach), STUCK, the Bert Shapiro-directed SPEAKING FOR MYSELF and ELLIOTT SHARP: DOING THE DON’T, the web series “Wrapped”, and many advertising, music video and rock concert shoots. The germination of this project was a choice: do I go to film school or make a film? I chose to make a feature-length film, and one that was quirky, moody, and unique. It would bring to life one of my favorite novels, Thomas Hardy's The Return of the Native, in a modern American context, and be influenced by 1970s French and Scandinavian cinema. I reread Hardy’s novel several times to create the script, and it became clear to me that the most important, intriguing character in the novel was not Eustacia Vye or Clym Yeobright or the other inhabitants of Egdon Heath, but rather the heath itself. I love the island of Martha's Vineyard, where I have spent both joyful and melancholy times with family and friends on a remote farm. This place was the inspiration for a new Egdon Heath, with open plains, wild moors and ocean beaches. In the script I tried to transmute the people of the very English Egdon Heath onto a very American island. I re-imagined Hardy’s heath folk as native islanders and “summer visitors” of Martha’s Vineyard, and adapted their situations and choices to modern lifestyles. Social tension would be created by making some characters WASP establishment “summer people”, and others islanders of Irish Catholic descent, to light upon that historical discrimination in New England. The farm’s stark landscapes would exemplify and influence the emotional distances and isolation of the characters. In the novel, Hardy seemed to say that humans are very small players in an ancient, changing landscape. Nature will continue on, humans will not. Hardy's description of the Heath sums up this concept: "...its Titanic form seemed to await something; but it had waited thus, unmoved, during so many centuries, through the crises of so many things..." Hardy’s Egdon Heath was a symbol of both the brute force and the tranquility of Nature, and as a portal to the greater authority of pagan gods. In technical terms, Nature guides and shapes this film. In some scenes, the viewer is meant to see from nature’s perspective: the characters are seen from a physical, and therefore emotional, distance. Under the looming sky and at times a circling osprey, their intense struggles and passions are trivialized, and exposed as vain. These wide shots reflect this creative decision, and the viewer may not be too sympathetic to the characters: neither is Nature. Hardy created characters that represent humans in all their flawed glory. The strong and vibrant actors brought the modern characters to life. Cliona whines and rages. Ned sabotages himself through addiction. Henry wavers between loyalty to mother or his headstrong wife. Tamsin loves an unreliable man. Mrs Goodrich is bound by status and a closed mind. Redmond pines for a woman beyond his social standing. They are small town legends. The natural world around them could impart wisdom and insight, through the cycles of the seasons, omens and signs, birds and animals. Some choose to live with fervor and fury, others mildly, as thunderstorms or sunny days. Nature offers them all a lesson of humility through their narcissism, should they could grasp it. This lack of vision twists their individual fates. Several characters fail to see beyond themselves, and pay dearly for it. Some carry on, with resigned serenity. One sees…in the final moment. The film, like the novel, is a pastoral, spiritual work. At the end of the novel Hardy made Clym Yeobright (the “Henry Goodrich” character in THE MISTOVER TALE) a broken man, transformed by his losses, but alive to hope. I think Hardy meant to convey that our natural environment, or our perception of it, can become our fate. Eustacia (“Cliona”) railed at the Heath as her stern exacting jailer, whose life force diminished hers. Clym (“Henry”) saw beyond its fury to its gentleness, and it gave him a different destiny. Nature ever reminds us that our joy and despair, however wonderful or overwhelming, are fleeting and cyclical. In natural cycles, darkness always recedes in time, and then there is Light. Ideally, this film should be viewed in a theatre: it was made to envelop the viewer. The wonderful cinematographer Michael McDonough ensured the beauty of the PAL video shots. TV and computer screens may not present it to its best advantage. We purposefully gave the film a slightly misty retro look and aura, to conjure a sense of the recent past. The wild nature sounds, all recorded on location, are intended to surround and transport the viewer - as is the soundtrack by Jérôme Leroy, which expertly captures the characters’ pathos and ephemeral joys, and this grand, active landscape. The editors Petra Lent and Loïc de Lame had a formidable task: the first cut echoed the novel-inspired script’s plot closely, and they whittled away to create a streamlined version for this visual medium. The emphasis was placed on faithful storytelling, and setting an ethereal mood. We worked in stages, with life events and other work delaying our progress. There are imperfections in this film that some viewers may not see beyond, but I don’t regret that it is not glossy. My hope is that the film will find its audience among emotional, contemplative, or moody types who appreciate a good story, when not roaming in lonely places and communing with nature. The years it took the complete this film have taught me many important life and work lessons, and the final version of the film, with added scenes at the end, speaks to my own journey. I was a different person when I began this film, and with the cast and crew I lived through the hurricane of its creation. In a sense I have been transformed by it, as Henry has in the film’s last scene. There is a lightness is sharing this film with the world, and solace in knowing that I stayed true to my original vision. I hope you enjoy it. The Mistover Tale was at once inspired by Thomas Hardy’s novel The Return of the Native, but also by the island where it was filmed, Martha’s Vineyard. The “Vineyard”, as it known to locals and “summer visitors”, was originally called Noepe by the island’s true natives, the Wampanoag Tribe. The Wampanoags have a reservation on the island to this day. Their stories of the island continue on, and one in particular also inspired the film. The novel that inspired The Mistover Tale, Thomas Hardy’s The Return Of The Native was first published in London in 1878, in excerpt form in the magazine Belgravia. From "Martha's Vineyard, History, Legends and Stories" by Henry Franklin Norton, first published by The Pyne Printery, Hartford, Connecticut, in 1923. "Katama was a beautiful Indian maiden who lived in the village of Wintucket, three miles below Edgartown, with her father Nashamois, chief of the tribe. She was sought after by many young braves, but her father had promised her to Ahquampacha, chief of an allied tribe whom she hated. She busied herself making mats and baskets for the wigwam, where she expected to live an unhappy life. One day she went to Quanomiqua in her little canoe to get grasses, which grew more luxuriant and beautiful there than anywhere else on Noepe. While she was picking out the ones she wished a shadow fell on her. Looking up she saw a handsome young Indian who told her that his name was Mattakessett, chief of a neighboring tribe. He was so respectful and handsome that before they parted she had promised to be his queen. She paddled back to her wigwam greatly troubled, because she knew that her people were enemies of her lover's tribe, and her father with the help of Ahquampacha would make war on him as soon as they knew of the love affair. Mattakessett and his tribe raised corn on "the Plains" and were envied by all the neighboring tribes. The tribes of Pohoganut, Ahquampacha, and Nashamois planned to make a raid and rob the fields of their golden harvest. They selected a moonless night and the tribes were detailed for attack. Some crept along the South Beach, some by Shockamosset, and others by Wishshackett, to surround "the Plains", and to make escape impossible. When Katama heard the plans she slipped away early and warned her lover of the threatened attack. Mattakessett poised his warriors for battle. At dusk he sent the squaws, papooses, and old people to Chappaquiddick for safety. He awaited his foes. The battle was fierce, and Mattakessett being overwhelmed by a greater number of warriors, his braves were all soon killed or captured. He stood on the beach alone with Katama. After seeing the result of the battle, they stepped into her little canoe and paddled quickly towards Chappaquiddick. In the middle of the bay, where the tide sweeps around the eastern point of the channel, the canoe was upset in the whirl of the tide, and the lovers found themselves swimming for life. They could have gained the western shore, but they knew that death awaited them by the hands of Nashamois and Ahquampacha. Katama's strength failed her. Mattakessett took her in his arms and tried to reach the other shore, but in vain. So they both lost their lives." We are immensely grateful to the generous donors who supported The Mistover Tale's IndieGoGo campaign. Anonymous, Philip & Shelley Fox Aarons, Rachel Allen, Patrick D. Amon, Richard Anderman, Augusto Arbizo, Deborah Aruta, Cainchinne Avison, Paul Aziz, Gilda Axelroud, Lygia Clark Barbosa, Anne-Marie Belli, Estelle Berruyer, Rachel Berry, Maryana Bhak, Natasha Bhatia, Peter & David Blum, Hubert Bonnet, Stefania Bortolami, Theodore Bouloukos, Oliver Brown, Bertrand Buchin & Mark Scarduffa, James Cahn, Julie & Shane Campbell, Valerie Chapoulaud, Delphine Chauviere, Doreen Clark, Peggy Clark, Monica Coretti, Alexandra Davis Cummin, Ernest de la Torre & Kris Haberman, N. Dash, Curran Davis, Pip Davis, Helen Dewey, Caroline de Spoelberch, Jose Diaz, Frank Don, Alexandra Dowling, Joseph L. Dowling Jr., Ruth Tappan Dowling, Sarah T. Dowling, Sophie & Charles Dowling, George Evans, Steven Fox, Friends of The Mistover Tale, Julia and John Fullerton, Anthony Garland, Gabrielle Giattino, Florence and Daniel Guerlain, Susan K. Griffiths, Sarah Hall, Jean Harman, Sarah Hartmann, Deborah Dorman Hay, Elissa F. Heher, Margo Heher Hill, Shahn Kariger, Heidi Holst-Knudsen, Alexandra Huddleston, Nancy Ireson, Tim Jackson & Peter Dennehy/Urban Lighting, Keith Jacobson, Mary Lee Jamieson, Ray Keller, Katherine Kim, Eileen Kim, Brian Kish, Adam Klein, Martha Kolkka, Kristen Konvitz, Andrea & Eric Kopchinski, Mary Korba, Elizabeth Kraft Jones, Kimberly Lane & Ed Donohue, Sally Maruca, Petra Lent McCarron, Jerome Leroy, Dr. Robin Lester, Paul & Linda Levy, Cathy Linsk, Heidi Jo Markel, Sally Maruca, Chesca Rynn Mayser, Clio McNicholl, Valeriane Moyersoen, Billy O'Connor, Jean-Baptiste Ortmans, Paula Naughton, Vanessa Noel, Gina Palffy & Philippe Szokoloczy-Syllaba, Degen Pener, Colin Phillips, Michele & Ed Piorkowski, Eric & Marianna Poutasse Korenman, Neil A. Pirie & Michael Read, Heidi Pulkinnen, Joel C. Reese, Alan Rogers, Charles Ruger, Eléonore de Sadeleer, Jane Seagrave, Irene R. & Robert Sinescu, Laura Skoler, Thomas Solomon & Kimberly Mascola, Catherine Smith, Lori & Jim Stagnitto, Christian Stathis, Simone Subal, Bridget Sullivan, Robert Tateossian, Sandra van Essche, Hugh van Praet, Penelope Wilson, Susie Wilson, Kelly Woods, Lawrence Yanovitch, and Begum Yasar.